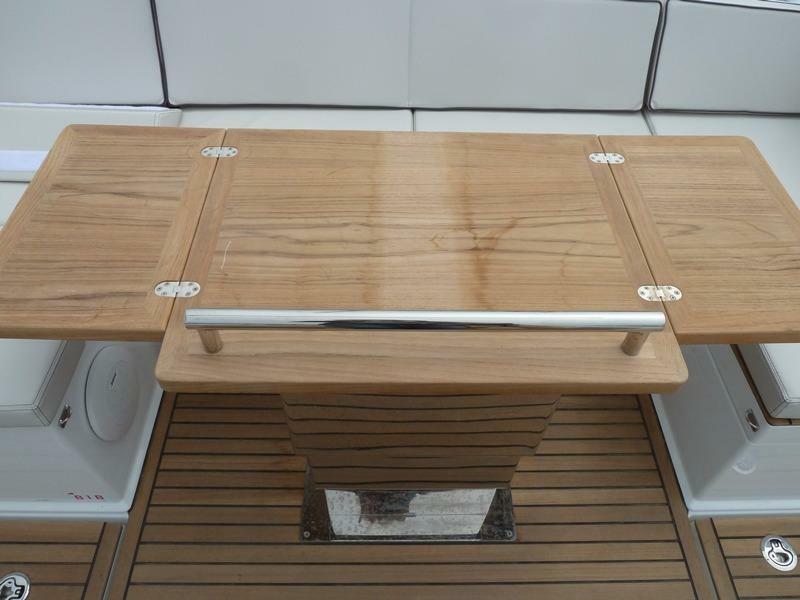 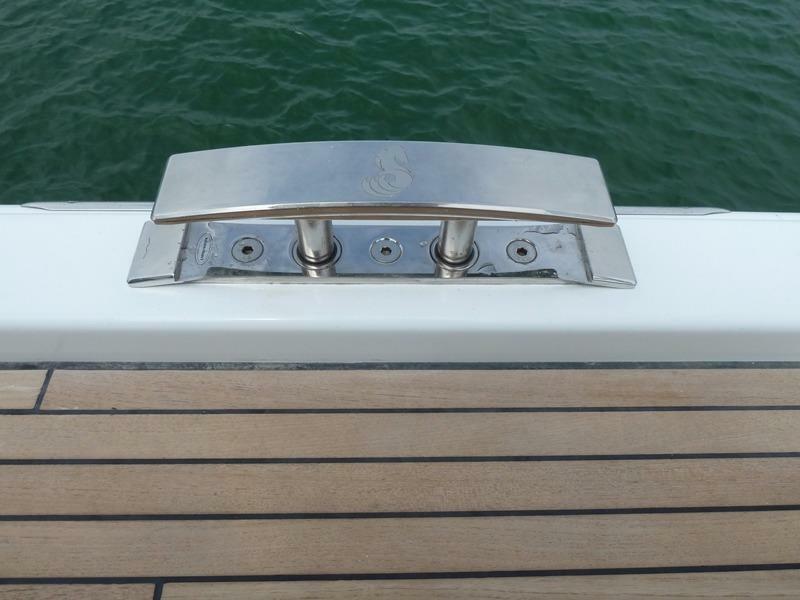 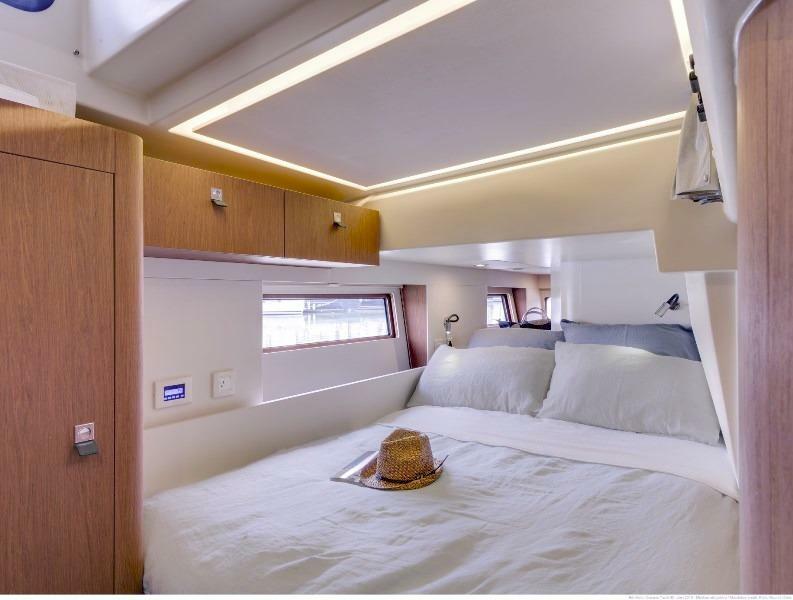 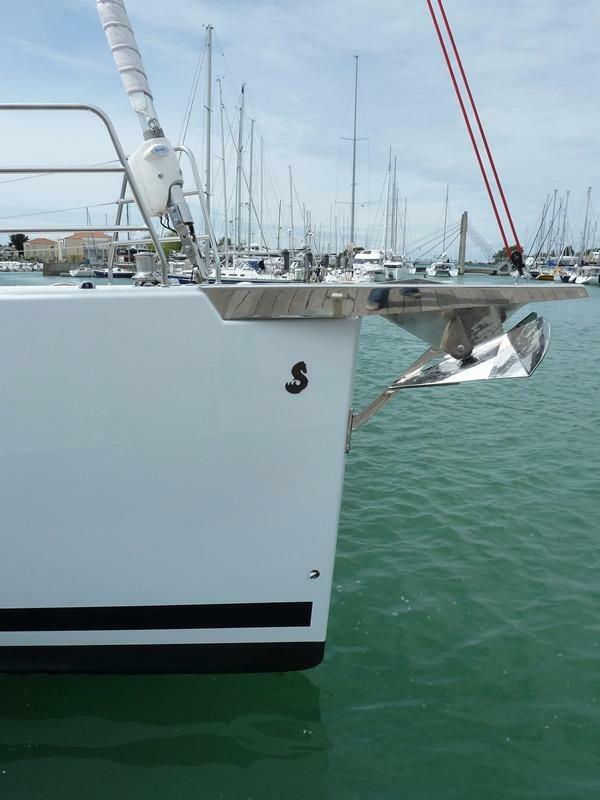 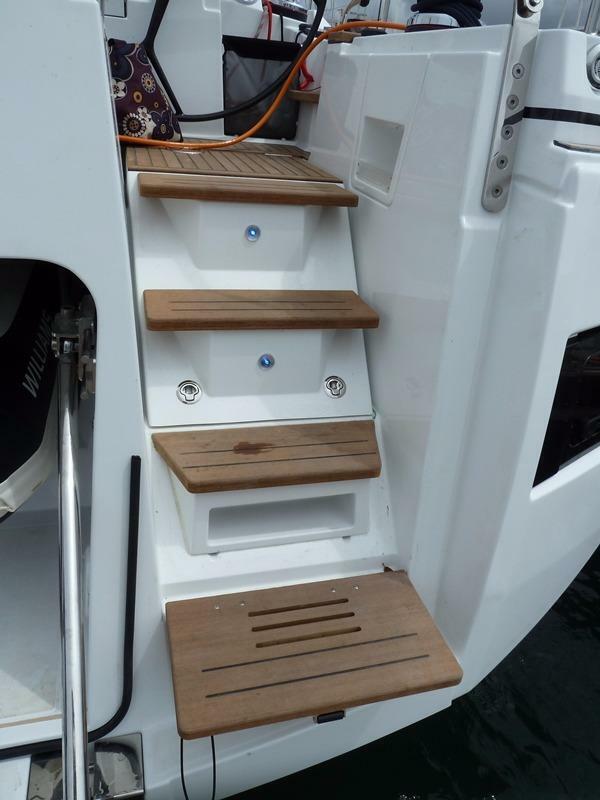 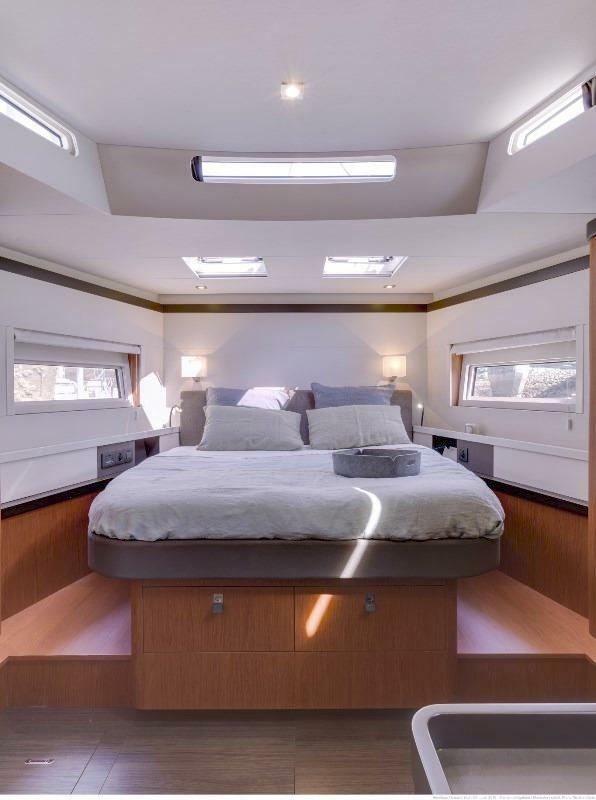 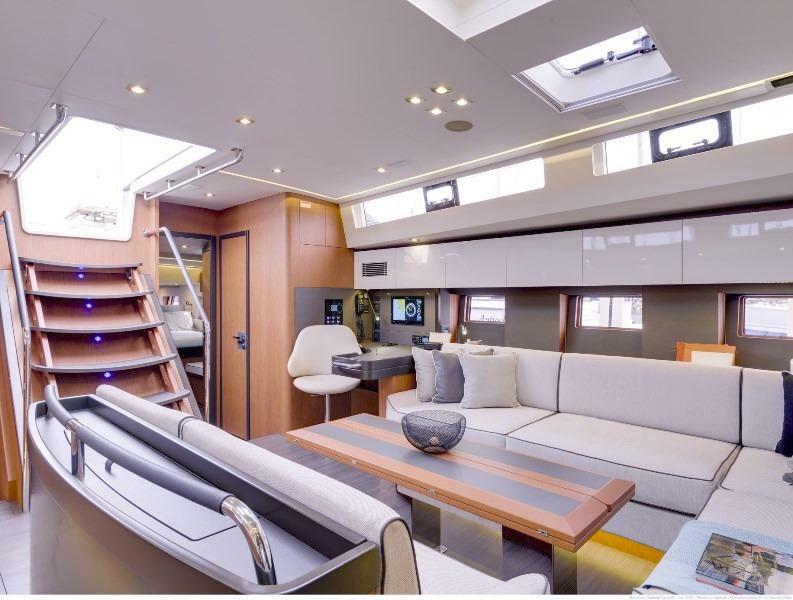 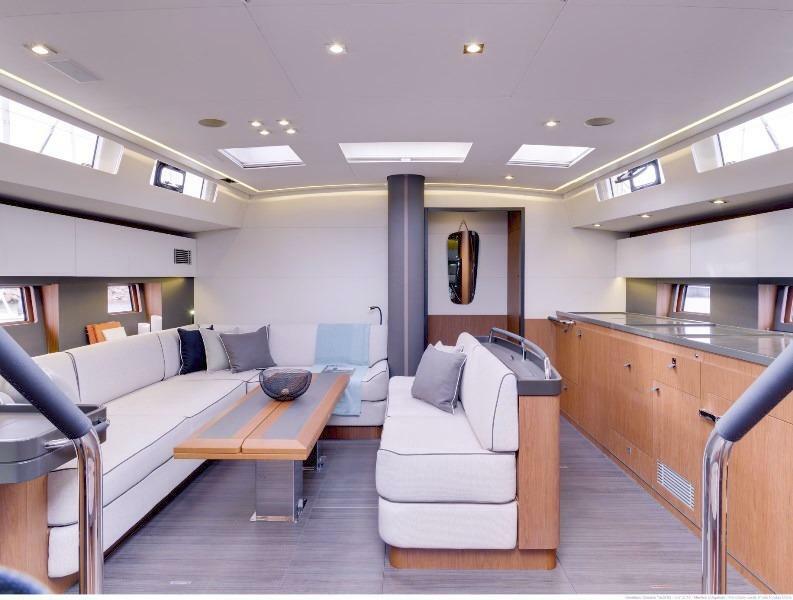 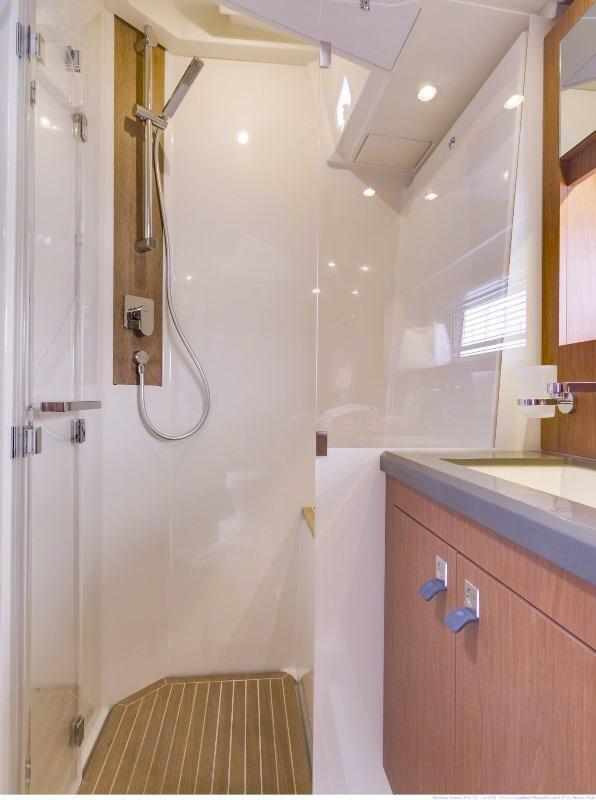 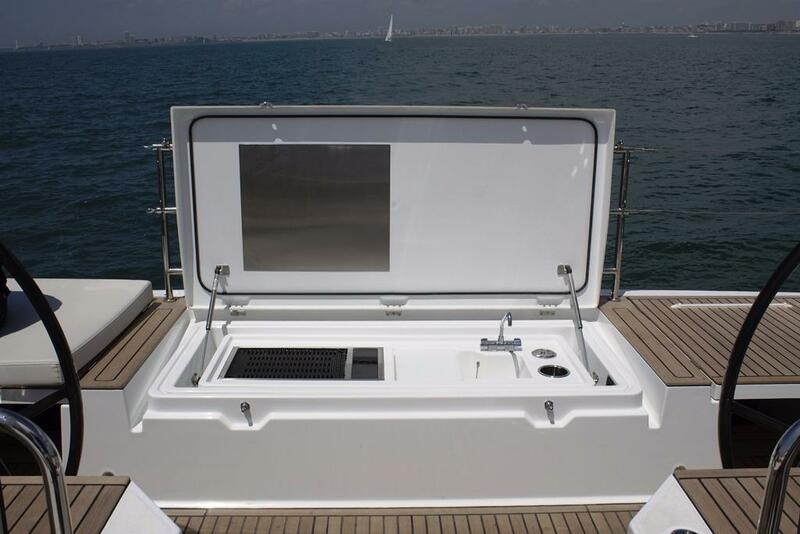 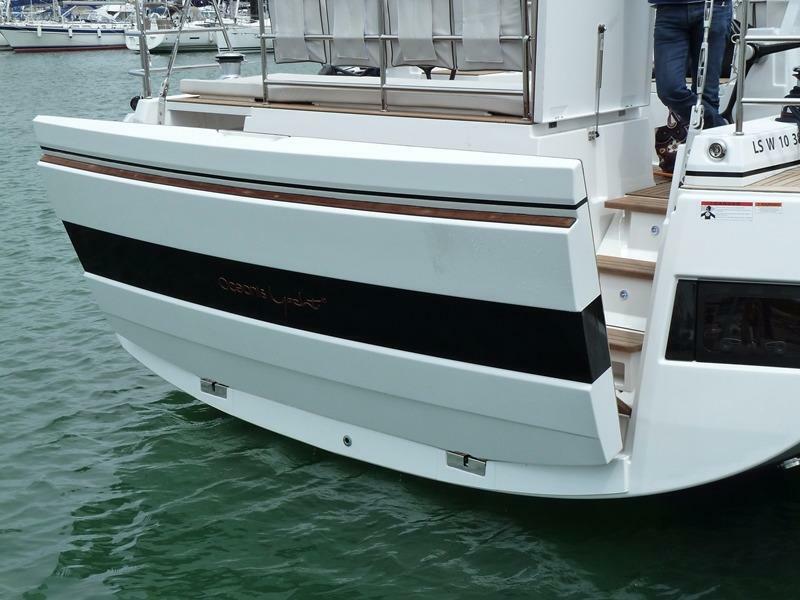 Easily accessible by a few steps located on either side of the dinghy garage, the transom doubles as a spacious swim platform when hydraulically lowered. 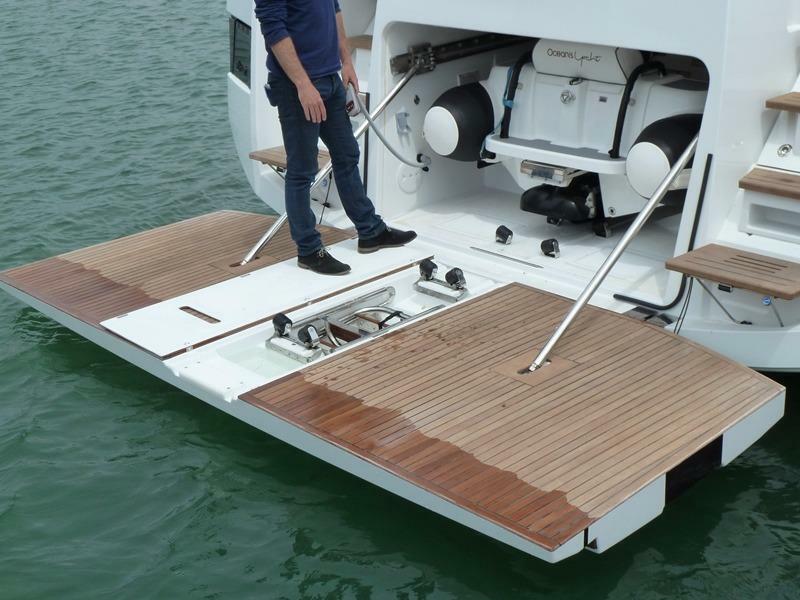 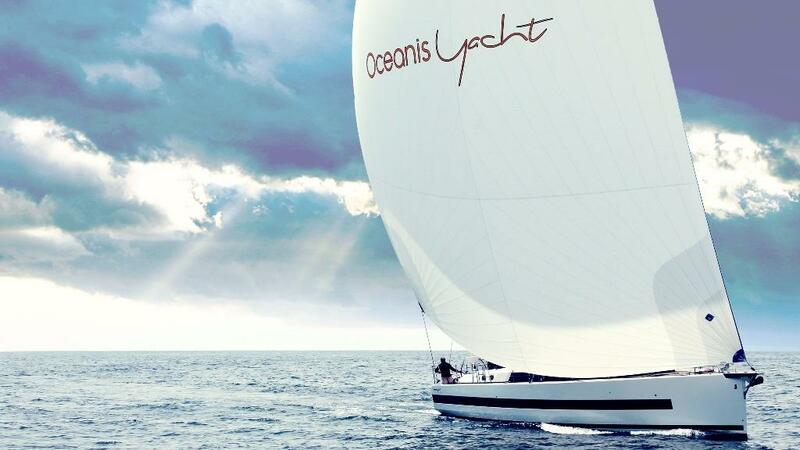 Designed with practicality in mind, the dinghy garage and platform make launching simpler. 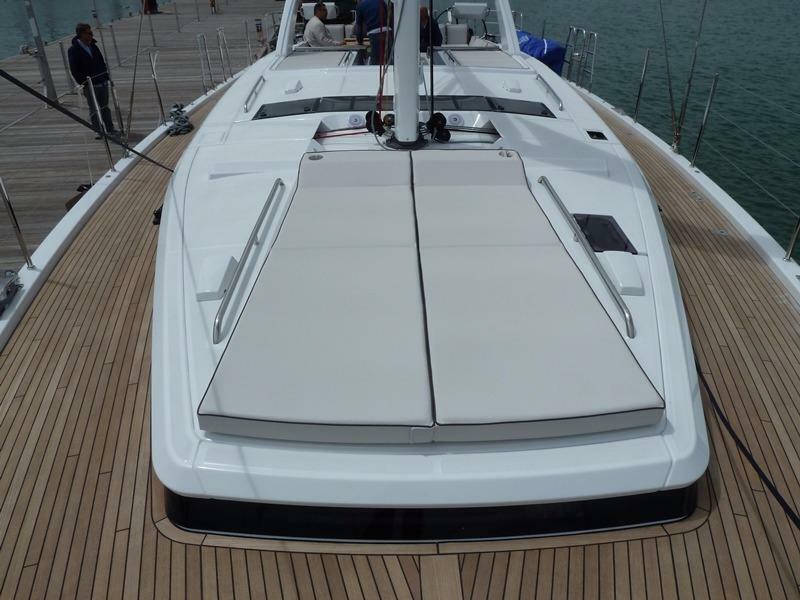 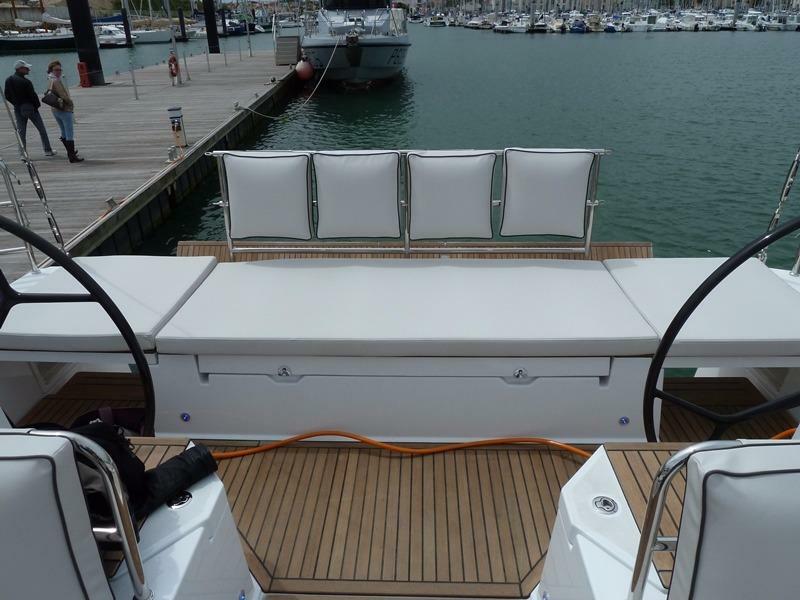 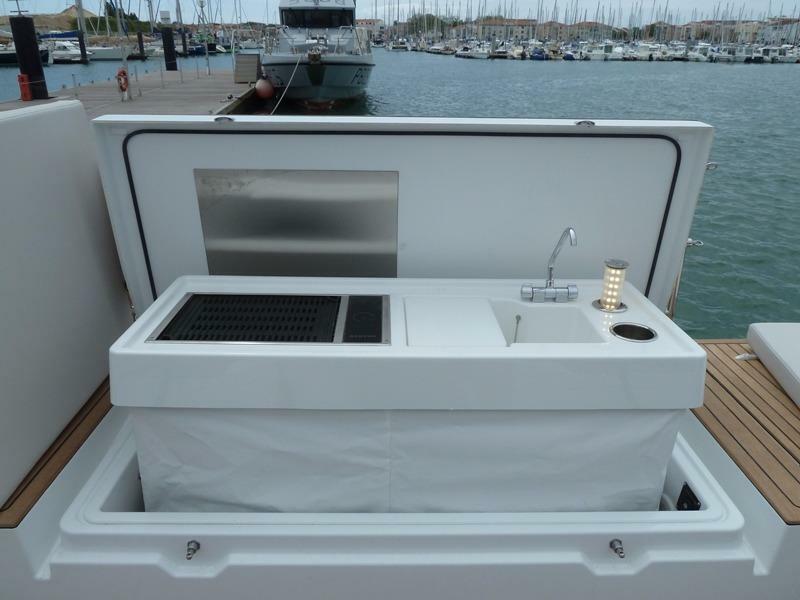 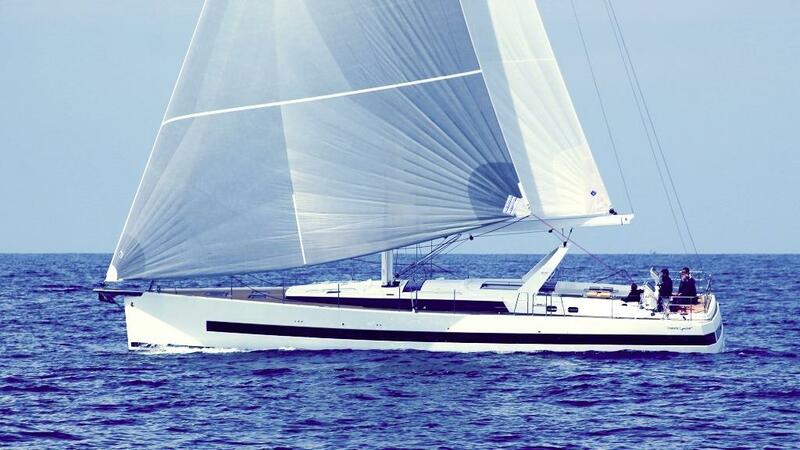 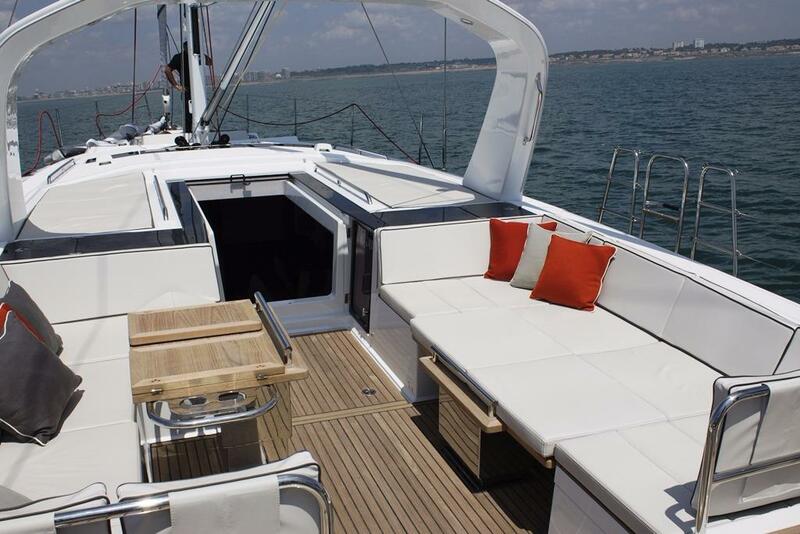 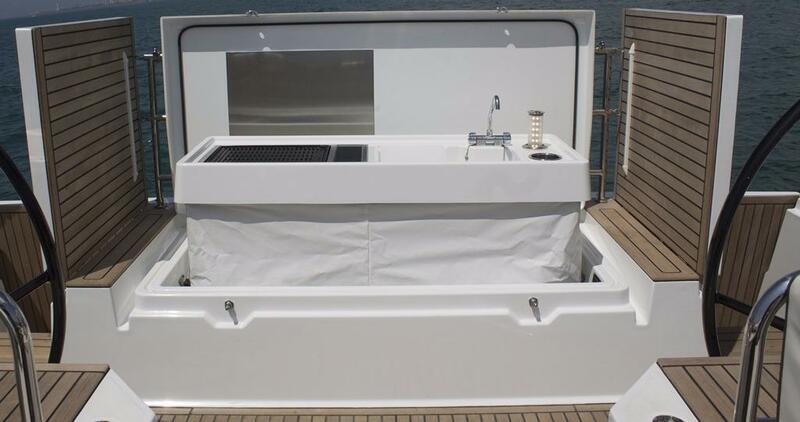 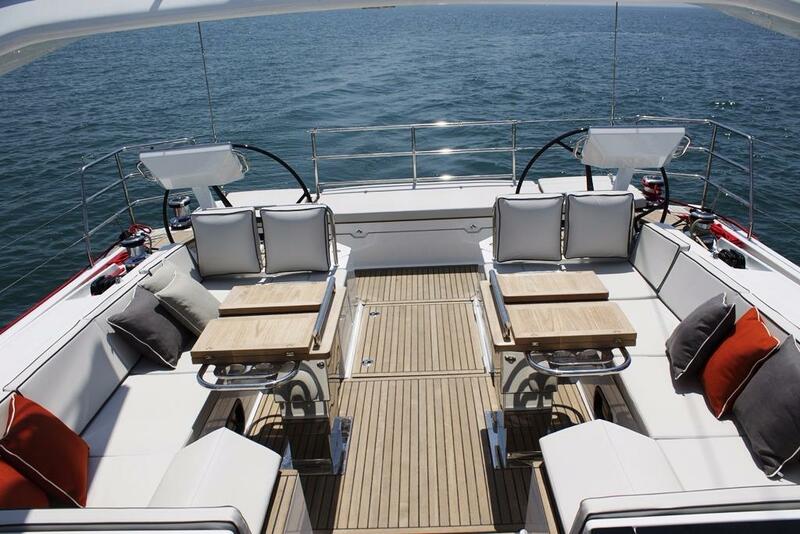 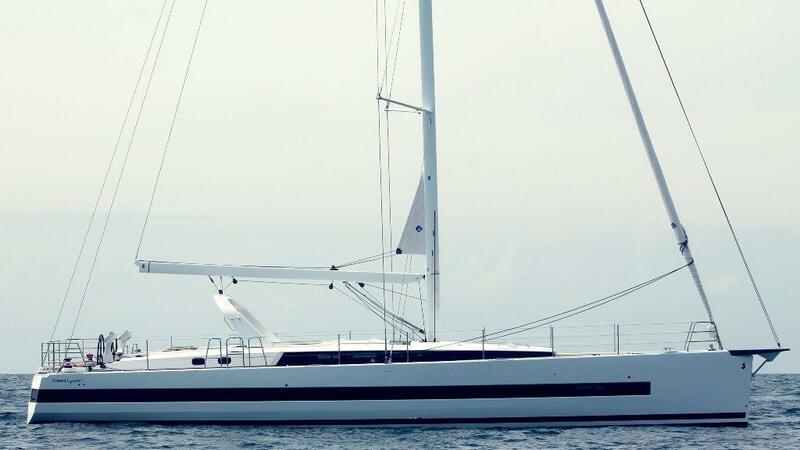 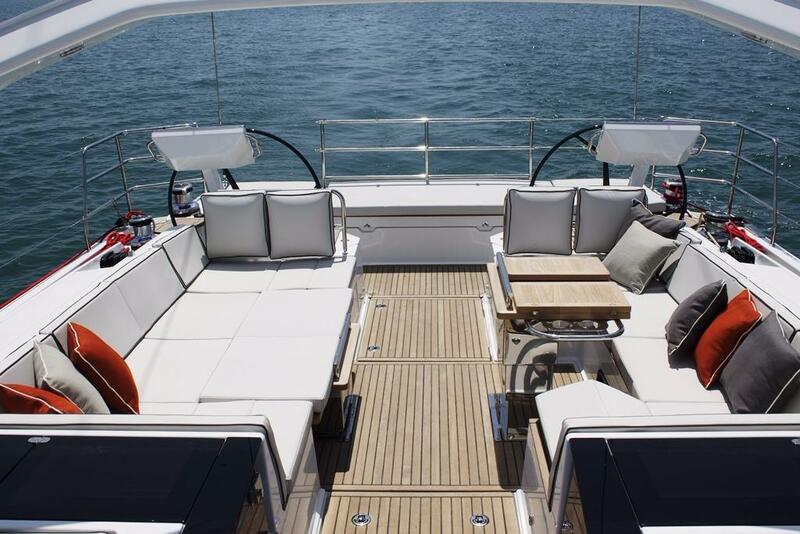 With an opening roof, the Bimini hard top is an innovative solution for protection from the sun and bad weather. 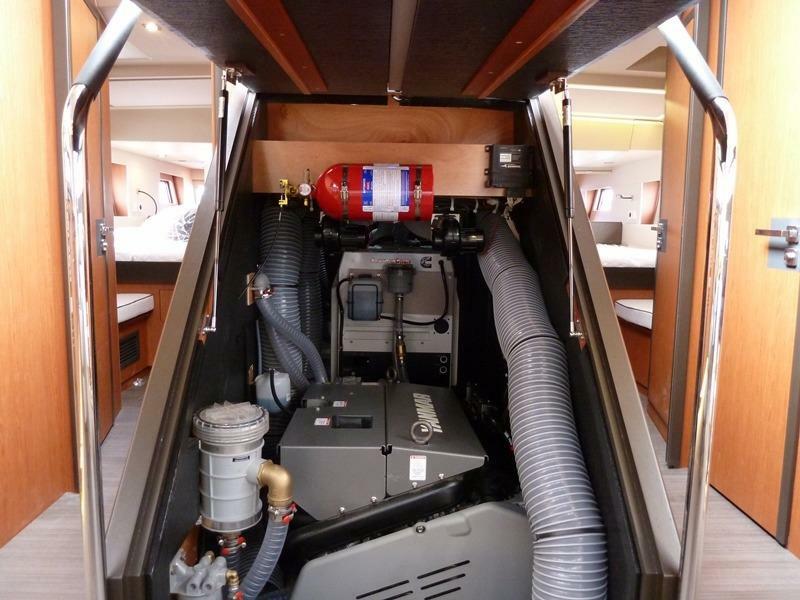 With built-in light and sprays to refresh the cockpit, it can easily support solar panels or a wind turbine. 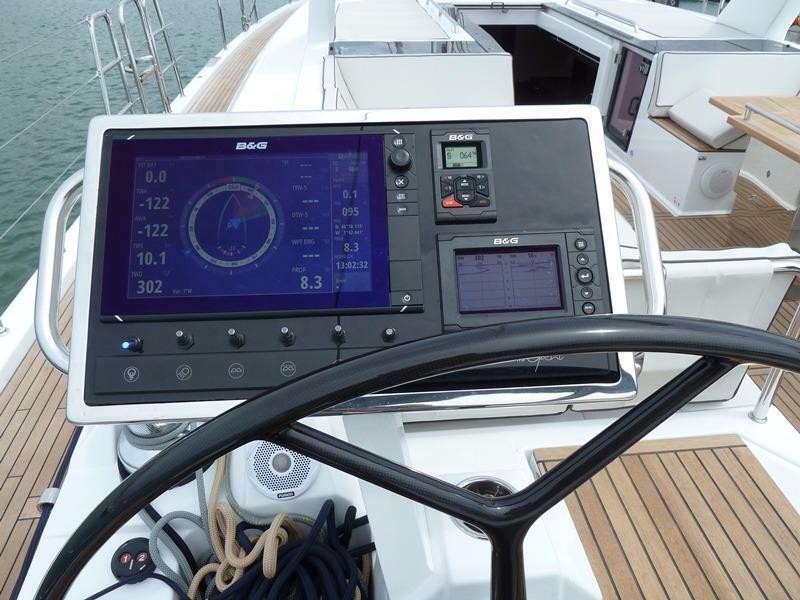 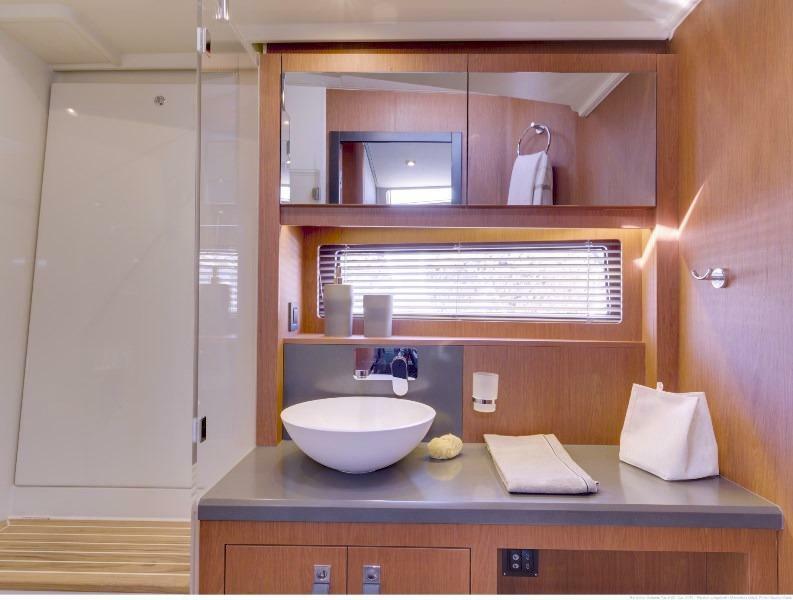 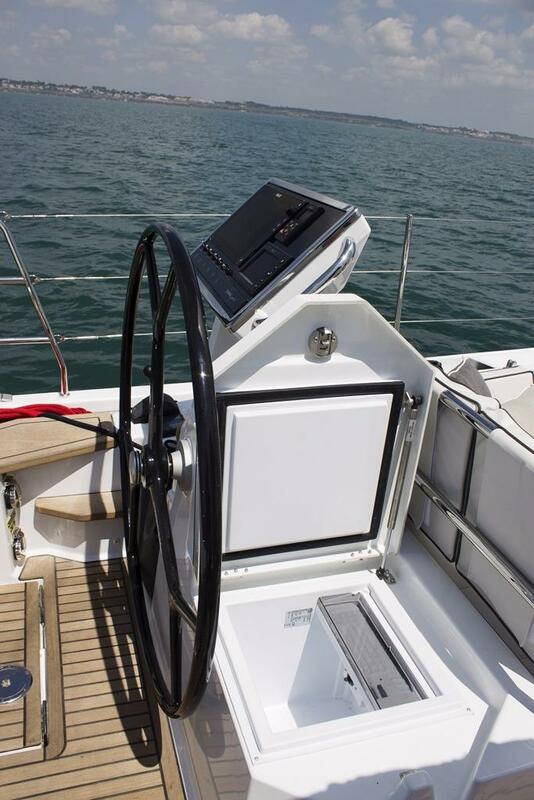 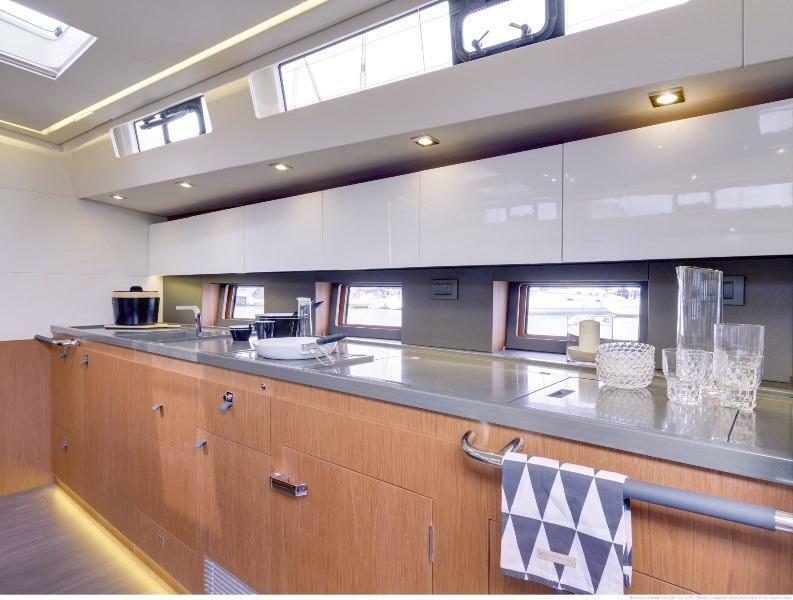 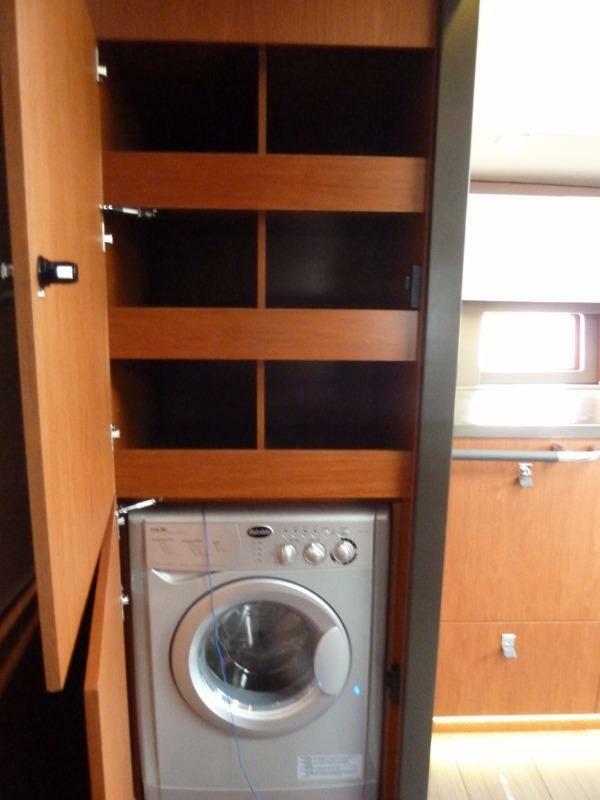 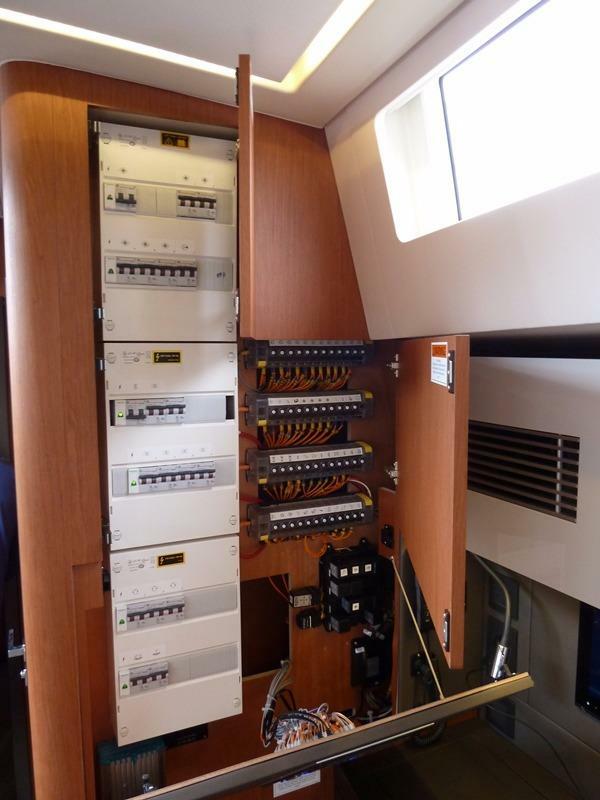 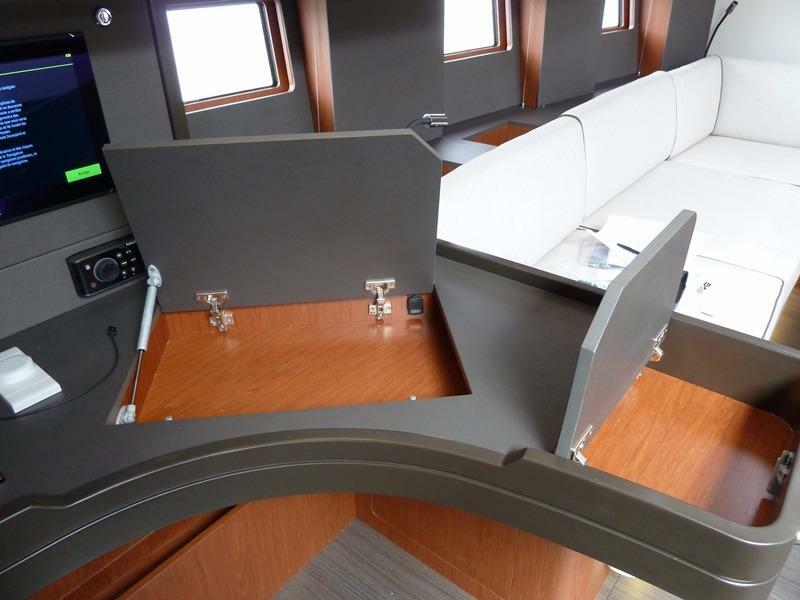 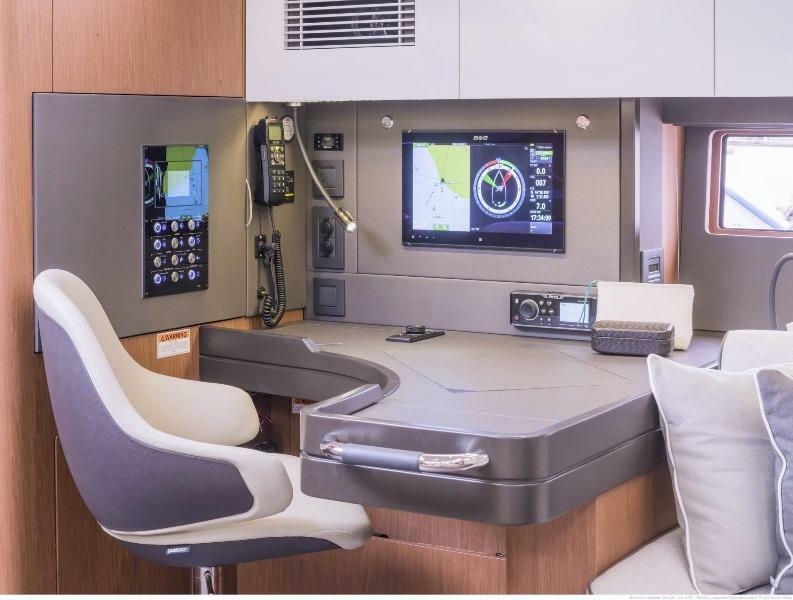 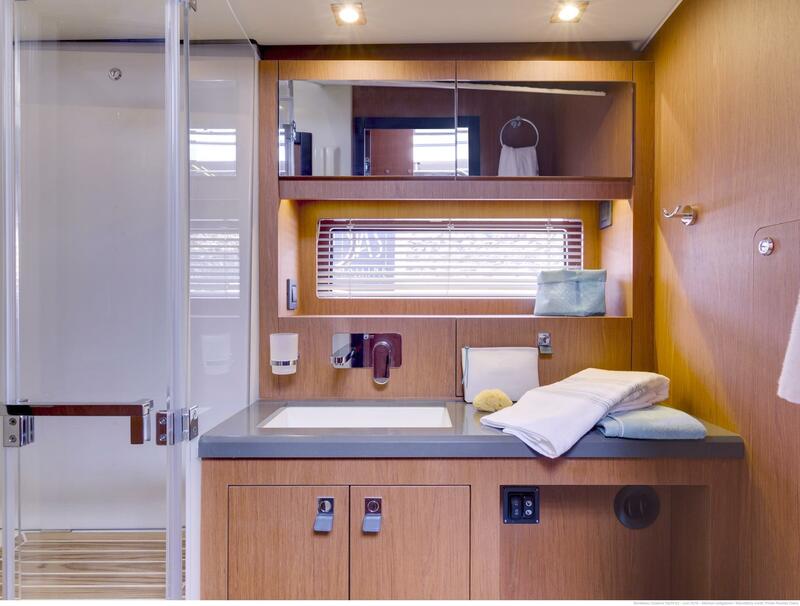 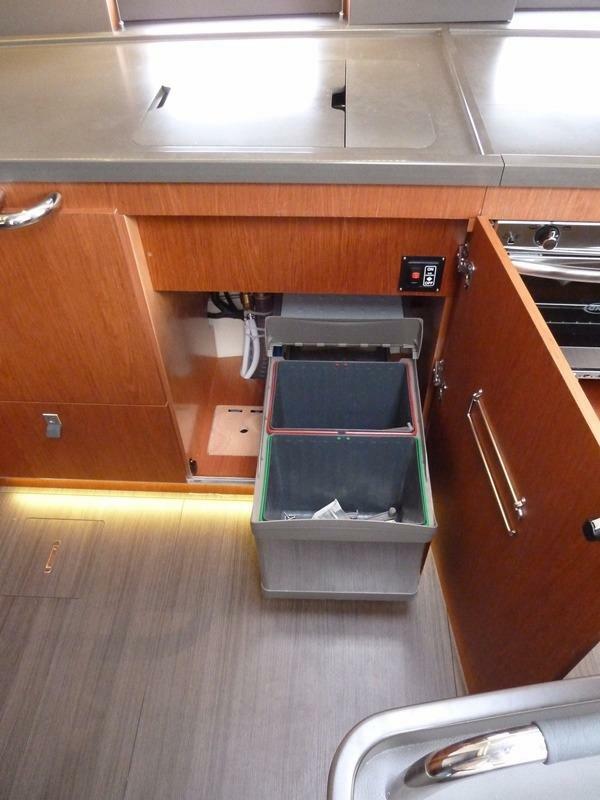 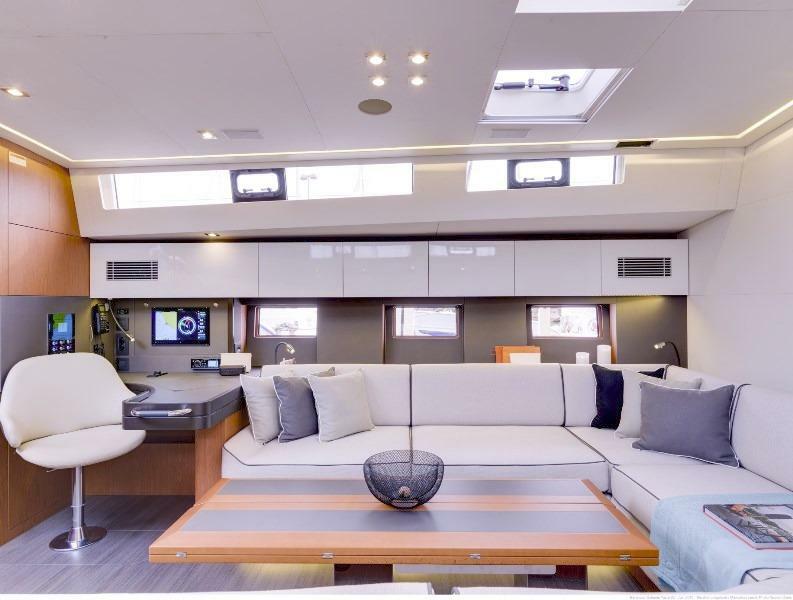 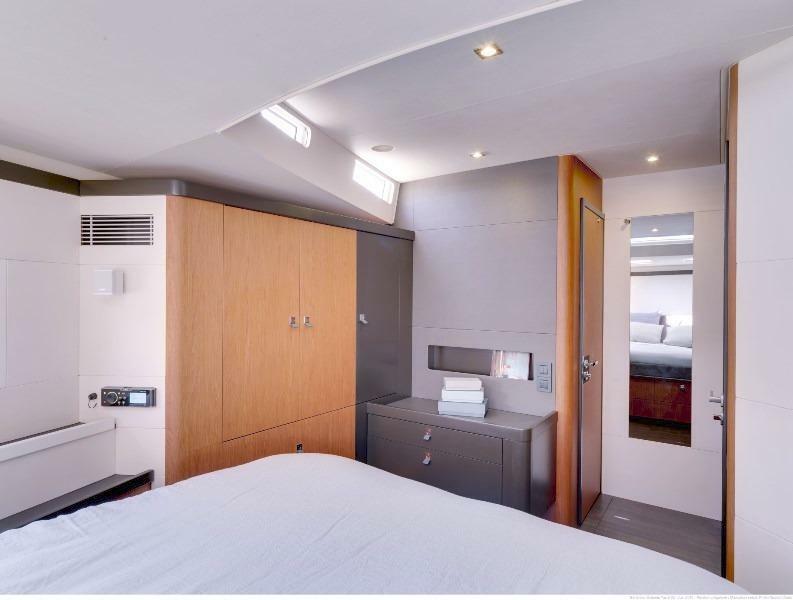 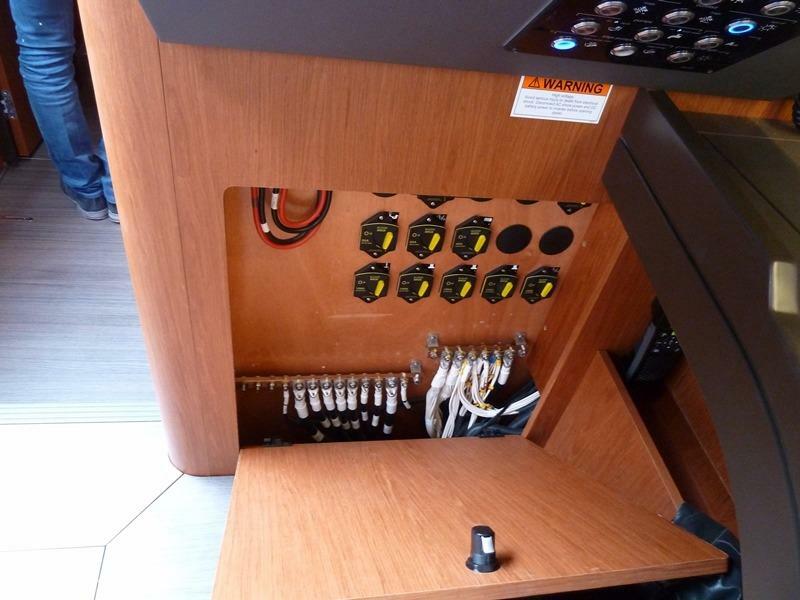 Located at the stern of the boat, the cockpit galley with griddle and sink adjusts to the appropriate height automatically. 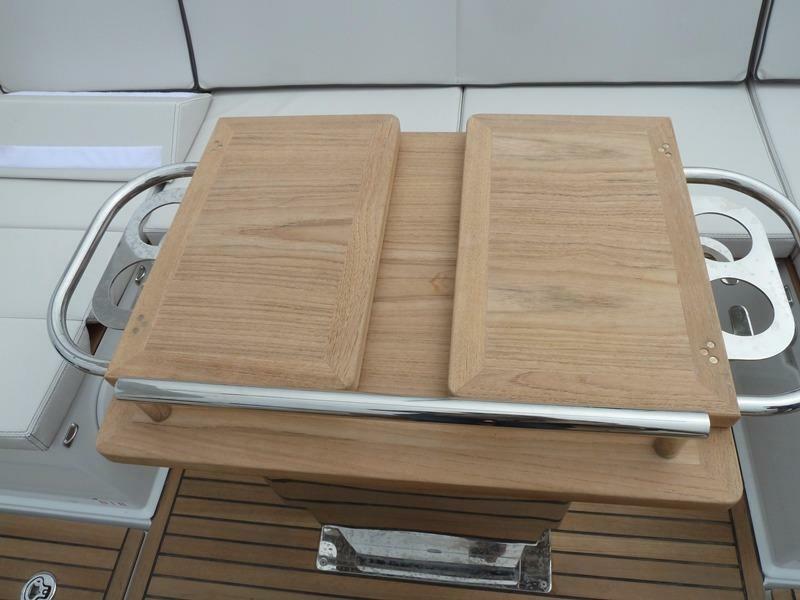 Through meticulous attention to detail, she comes equipped with cup holders, lights and cutting board.